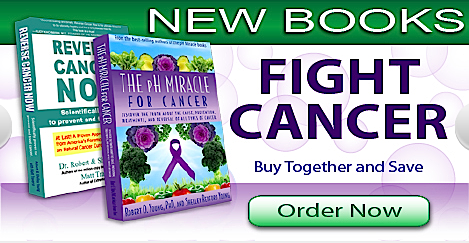 If you have cancer or know of someone with cancer you will NOT want to miss reading the pH Miracle for Cancer or Reverse Cancer Now. These companion books will change your understanding of cancer and will change your life forever. They will empower you to take charge of your health and to prevent or reverse the number two leading cause of death in the World. What is cancer and what is the cause of all cancer? Is cancer preventable, and if it is, how do we prevent it? Is there a formula for preventing or reversing cancer? If I have cancer do I need to have radiation, chemotherapy or surgery? You might be surprised at the answers!